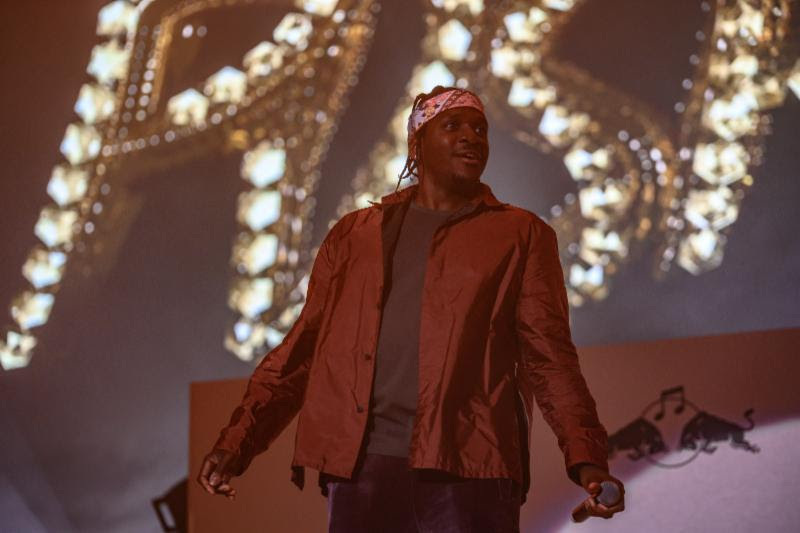 Red Bull Music Festival Chicago 2018 kicked off at Wintrust Arena Saturday night with a bang by bringing together legenends, luminaries and rising stars from R&B and hip-hop for a legendary Opening Night. The night began with a poem from local Chicago poet and Whitney M. Young Magnet High School student Jalen Koboyashi, who performed an original piece titled “Wings”. 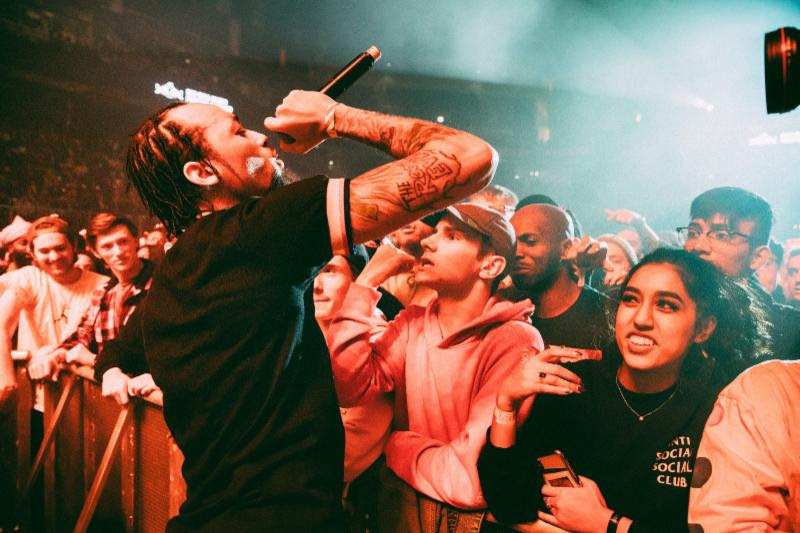 Up next were Chicago’s own Valee, running through a string of hits and showing the crowd why he’s become one of the most imitated artists in hip-hop, Desiigner, who dove head first into the crowd during “Overseas,” and Teyana Taylor, who broke the area down while flanked by three dancers. G.O.O.D Music President then took the stage, running through the entirety of his “Daytona” before finishing with his arena-rattling remix to Chief Keef’s “I Don’t Like”. For the night’s final performance, the legendary Nas held court for a set that saw him performing new hits like “Cops Shot the Kid” alongside his classic records. 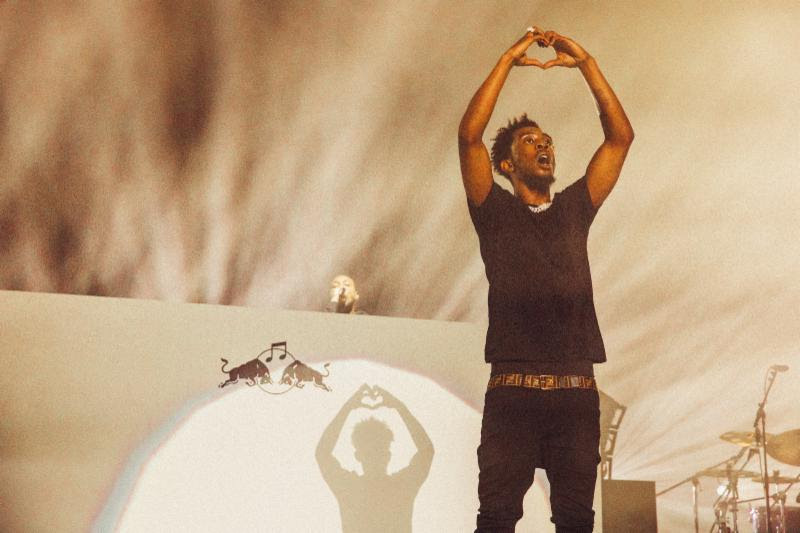 The decade-spanning set made for the perfect cap to a night that spoke to the best of hip-hop’s past, present and future.